As the modern marketplace has grown and stretched, so have the operations within it become increasingly complex. With digital marketing at hand, we’ve entered an era of commerce that’s significantly more customer-oriented than the previous. It’s all about understanding your target audience’s inherent needs, wants, and expectations, then molding this knowledge into a highly desirable customer experience. Within your company, there are three main factions who work to shape and define the customer experience: social media, customer service, and sales. Along with being vital to the customer’s interactions with your business, all three teams are actually very dependent on each other. Yet, they mostly operate separately from each other in the majority of organizations. This means losing out on a lot of potential leads, useful insights, and well-orchestrated tactics which would ultimately drive growth. 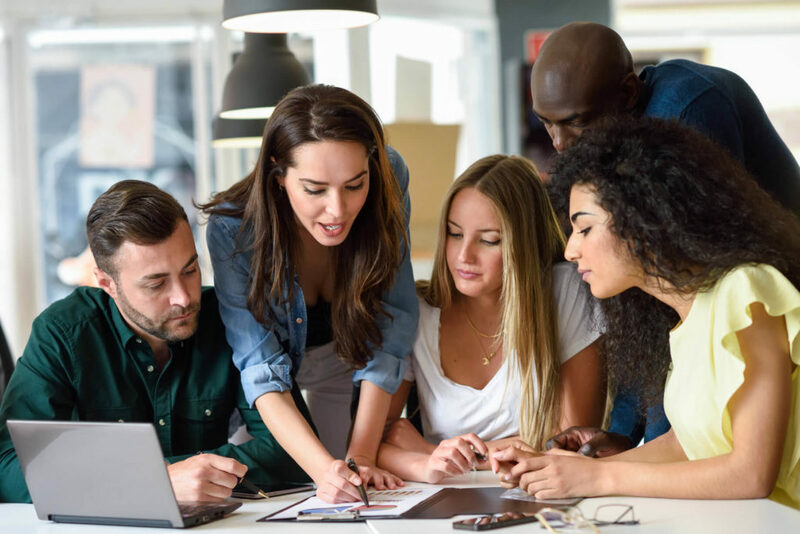 Follow these tips to help you unify the three main touch-points of the customer experience and integrate your teams successfully. Social media marketing is your forefront of brand awareness. The marketers cultivate your brand image and generate leads through an active and engaging presence on social, and they’re the closest to your target audience as a large-scale concept. Customer service reps, on the other hand, have valuable insight into the specific problems and potential glitches in the customer journey. Not only do they have insightful one-on-one interactions with customers under their wing, but with social media listening, they can now respond in real-time and actually prevent problems from arising. Essentially, excellent customer support is vital to marketing and a crucial tool for boosting brand loyalty. For example, when somebody claims they’re disappointed with your product in a Tweet, it’s equally a matter for the social media manager and the customer service rep to tackle and straighten out. Your sales team has valuable insights regarding your products and your competitors. They can provide the other two teams with these insights to help them improve their strategy, but they’d also benefit impressively from social media listening to help them identify leads and grab every opportunity. These are just some key points to get the gears in motion. Gather your teams for a thorough brainstorming session so that they can identify which shared aspects connect them and how they can borrow off each other’s insights to create a powerful trio. Technology makes it much easier to align and integrate the efforts across the three touch-points. With the use of CRM platforms, your teams will have access to important customer data and interactions, providing them with the necessary insights for improving collaboration. Different platforms and a certain level of automation can also help them structure their work and organize as a team so they can assign specific tasks, share conversations, and monitor progress. But be careful – technology needs to be there to promote collaboration and make it easier, so it shouldn’t be putting a single department at an advantage. If you’re changing or adding on to your CRM software, make sure you’re able to identify how it covers the needs of each team and how it promotes integration. Your staff needs to coordinate their efforts into a cohesive strategy, and in order to make that possible, they need to understand each other’s jobs better first. We’re not talking about human relations here – it’s just a matter of cultivating the skills necessary to operate within a larger, cross-sectional team. For example, you’ll want your marketing and sales departments to have the necessary skills and knowledge about social media marketing – especially considering that an integrated social media strategy will help align all three teams. But marketers also need to be able to respond to customer service issues and understand all the data and strategy behind lead generation and driving sales. Here’s the thing: integration is not going to be easy. It’s a timely process because it requires a careful structural change, and the three departments need time to learn the ropes and really let that mode of work sink in. That’s why it’s crucial to have regular meetings, brainstorming sessions, and other opportunities where the teams can share insights and thoughts on strategies. Furthermore, it’s recommended that you encourage as much face-to-face communication as possible, preferably having the three teams actually work in the same physical location. Nobody is going to have all the answers right away, but with time, as the three channels become more and more cohesive, they can begin to identify new opportunities and ways to improve the customer experience. Keeping all the threads intact takes hard work and masterful organization; but more importantly, everything needs to be orchestrated neatly and seamlessly at the main touch-points of customer interaction. Use these tips and take the time to develop an integrative marketing/sales strategy and improve the operations within your teams. You can be sure that this approach will be beneficial to both to your customers and your employees, which ultimately makes it most beneficial to the growth of your business.